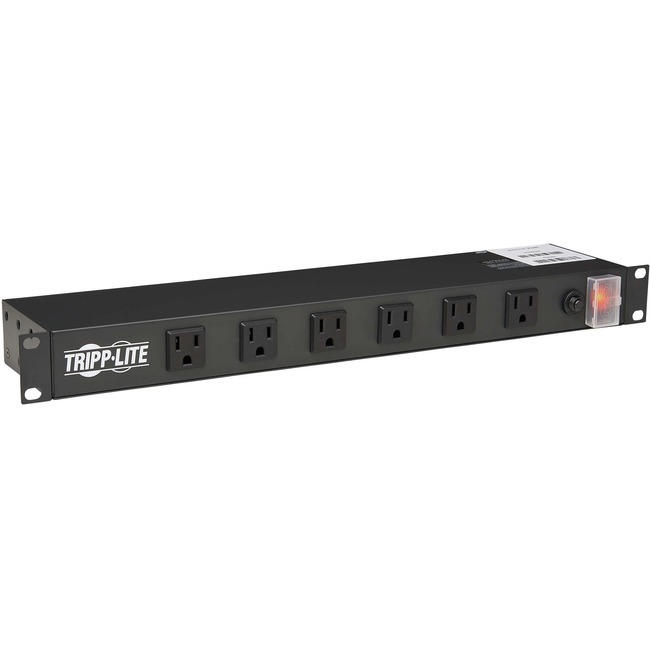 ManufacturerTripp LiteManufacturer Part NumberRS-1215-RAManufacturer Website Addresshttp://www.tripplite.comBrand NameTripp LiteProduct NamePower Strip 120V ACMarketing InformationTripp Lite's RS-1215-RA Power Strip offers 15A capacity AC power distribution in a versatile multi-mount cabinet. Detachable mounting flanges are configurable for rackmount, wallmount and under-counter installation. Uses only 1 rack space (1U) when installed in any 19-in. rack meeting EIA standards. Unfiltered electrical pass-through makes RS-1215-RA ideal for distributing alternate waveform UPS or generator power in rack enclosures, network closets and more. Features 12 NEMA5-15R outlets (6 front/6 rear) placed at a right angle (with ground pin at bottom), 15-ft. AC power cord and lighted power switch with cover that prevents risk of accidental turn-off.